I had given the exam of Annamalai University and still the result is not published so will you please help me in finding the result? If yes, then please help me soon. 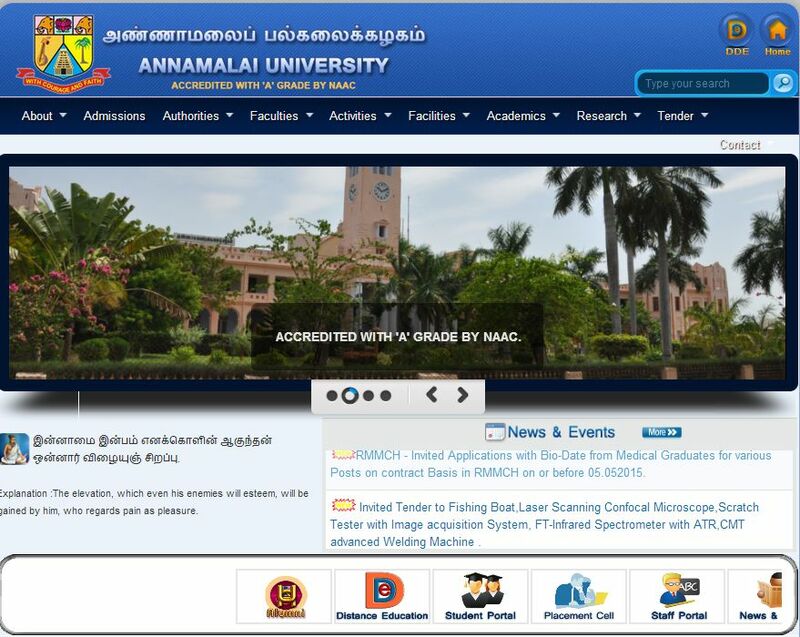 Annamalai University is one of Asia's largest public residential universities. This university is situated in Annamalai Nagar, Chidambaram, Tamil Nadu, India. It offers courses of higher education in science, engineering, humanities, agriculture and arts. Then go to the â€œExam resultâ€� and select your course..
Then fill your roll no and then click on the â€œSubmitâ€� button.